In today's digitally fragmented and social-media-dominated world, traditional forms of advertising—driving awareness through push advertising—are becoming less effective, and more and more consumer brands are turning to influencers as important network intermediaries to leverage the power of word-of-mouth marketing. Influencers are individual consumers who maintain large numbers of followers that seek to interact with the influencers' unique content on a regular basis. To enable companies to systematically manage the relationships between brands and influencers, the concept of customer relationship management is being transferred to fit the new challenges. The four stages of the influencer life cycle are explained and possible KPIs listed in this chapter. Customer Relationship Marketing (CRM) is a well-established concept to answer the prevailing changes from a transactional marketing approach to a relationship marketing approach. CRM can be defined be defined “at the customer-facing level as a systematic process to manage customer relationship initiation, maintenance, and termination across all customer contact points to maximize the value of the relationship portfolio” (Reinartz et al., 2004, pp. 294-295.). Thus, the CRM process entails the systematic and proactive management of relationships from acquisition to end (termination) across different customer-facing contact channels. In general, stronger relationships with customers result in higher profitability for the respective companies (e.g., Bolton, 1998; Reinartz, Thomas, & Kumar, 2005). Firms acquire and maintain profitable customer relationships by identifying valuable prospects, setting up improved communications with them, and customizing products and services to adequately meet the needs of the customers (Venkatesan & Kumar, 2004). As a result, customers show loyalty towards the companies, buy more and more often, and show a lower defection rate (Johnson & Selnes, 2004). Today, CRM has developed to Social CRM, from a strategy that was focused on customer transactions to a strategy that incorporated both customer transactions and customer interactions (Greenberg, 2010), especially in social media. As far as the Internet has changed the ways of communication, customers are also changing their behavior online: In a connected world, the online customer expects information to be available on demand. Online customers communicate with their peers whenever and wherever they want via the Internet, using desktop PCs or mobile devices. Furthermore, social media has expanded the traditionally one-way, top-down form of communication to a bottom-up form (Morreale, 2014) allowing ordinary consumers to create and distribute their own self-produced content as well as brand-related information. They share and socialize information with their known – or even unknown – peers commonly known as word-of-mouth (WOM). Interestingly, today’s online customers trust their peers more than companies (Weinswig, 2017). Consequently, people share information about companies, products and services on social media platforms and communities such as Facebook or Yelp. Research regarding traditional WOM indicates that certain individuals have a greater reach with their messages due to their numerous contacts and their position within a network (Goldenberg et al., 2010; Hinz et al., 2011). People with larger networks and more nodes are more valuable for companies in the sense of targeting exactly these people to spread the word to other people within a network. Thus, seeding strategies of companies gained momentum (see Hinz et al., 2011). Companies may identify well-connected people – generally named hubs (Goldenberg et al., 2010) or influencers (Godes & Mayzlin, 2009) to drive successful viral marketing strategies exploiting the higher credibility of networked people than relying on traditional media or internet advertising techniques such as E-Mail or display advertising, especially considering that 41% of the American millennials use ad blocks (Seitter, 2017). Hence, influencers are in the focus of companies today. 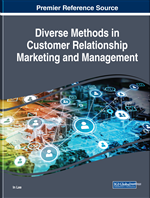 This chapter will show how these influencers, if integrated in the marketing strategy, can be managed by applying an adapted CRM approach in order to maximize the value of the relationship.